I first participated in NYALC in 2012. I was encouraged by Uncle Ian Dempster and Aunty Denise Champion. They heard that the UCA President and the UAICC Chairperson were jointly hosting a conference for young adults of the Uniting Church and urged me to attend. At this stage in my life my family had recently experienced a terrible tragedy of losing a young family member to suicide. I decided that I wanted to make a difference in my community, to work with young people and have a positive impact in their lives. 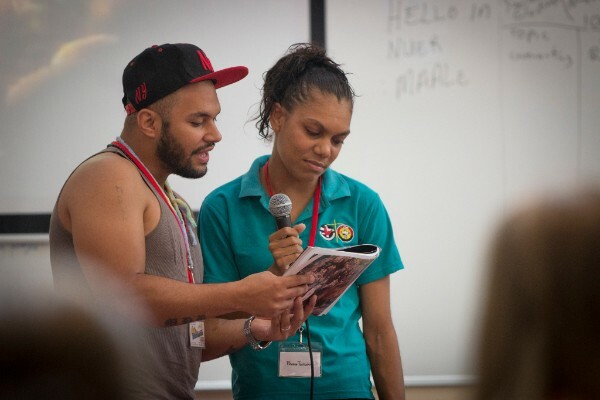 I felt that going along to NYALC would be an opportunity to build my confidence and courage as a young Aboriginal leader in the church as well as to get to know the Uniting Church better and to meet and network with other young adult leaders. Since then, I have attended all NYALC events over the past six years. Every time, the highlight for me has been the relationships I have formed when coming together as a NYALC community. I have made life-long friendships with other young adults, mentors and leaders in the church. I have been nurtured, mentored and supported by some of the most caring and knowledgeable leaders, who have encouraged me to take risks, to use my voice and to take on responsibilities that have shaped me as a leader. If you are a young person who is thinking about attending the next NYALC, don’t think for too long because opportunities come and go and believe me you do not want to miss out! This is an opportunity to get to now more about the UCA, its structure and leadership, to build a strong relationship with the UAICC and the First Peoples of Australia. Step out of your comfort zone and learn about what it takes to be a follower of Christ and a leader for your own mob.